What Benefits are Available for Veterans? Hundreds of thousands of our veterans—especially those suffering from disabilities, unemployment, mental health issues, homelessness, and poverty—are in urgent need of assistance. Thankfully for them, the U.S. Department of Veterans Affairs is here to save the day. With everything our service members have gone through to safeguard our nation’s freedom and security, they truly deserve to live life to the fullest. This is exactly what VA intends to do: Make sure that these brave men and women get the best support they need for a better quality of life. One benefit offered by VA is the opportunity for veterans to develop skills needed to obtain employment. The programs included here assist beneficiaries to transition from military service to civilian jobs. From enhancing their education to helping them develop work skills, VA aims to help our veterans land jobs with this specific benefit. Find out more about VA employment services here. Veterans’ Mortgage Life Insurance (VMLI). This coverage allows severely disabled service members and vets with an adapted housing grant to acquire mortgage life insurance protection. Servicemembers’ Group Life Insurance (SGLI). This coverage provides low-cost term life insurance coverage to eligible service members. It’s automatic for most service members. Servicemembers’ Group Life Insurance Disability Extension (SGLI-DE). Disabled service members who are separated from the military are allowed to apply for this coverage for free for two years. Veterans’ Group Life Insurance (VGLI). Service members who plan to leave service can choose to convert their SGLI coverage to lifetime renewable group insurance. Family Servicemembers’ Group Life Insurance (FSGLI). This program provides group term life insurance coverage to the spouses and dependent children of service members insured under SGLI. The service member pays the premium for spousal coverage. Service-Disabled Veterans Insurance (S-DVI). Any veteran with a service-connected disability can apply for this coverage. Even veterans with 0% disability rating may even qualify if they meet other criteria. Service members’ Group Life Insurance Traumatic Injury Protection (TSGLI). Severely injured service members with SGLI coverage can be covered with TSGLI anywhere and anytime. Find out more about VA life insurance here. For veterans having a hard time obtaining homes or refinancing an existing home loan, this benefit will surely help them greatly. Three main types of home loan benefits are provided. They are: purchase loans, cash-out refinance loans, and interest rate reduction refinance loans. Find out more about VA home loans and housing-related assistance here. They currently have a physical or mental disability. They encountered an injury or a disease in service or their condition worsened as a result of service. Their present disability is linked to the event that caused their injury or disease. Find out more about VA disability compensation here. Were enlisted after September 7, 1980, or have entered active duty after October 16, 1981. They must have served the full period of their active duty or at least completed their service for 24 consecutive months. This would also include past and present members of the Reserve or National Guard who were called by a federal order to active duty. Find out more about VA health care here. VA offers pension benefits, particularly to the survivors of wartime veterans who meet the criteria. Pension, intended for vets aged 65 or older, is a needs-based benefit that provides income security. Qualified vets who require assistance to perform daily activities or those who are housebound may get a pension at a higher rate, otherwise known as Special Monthly Pension. Find out more about VA pension here. Veterans who were unable to get their high school or college degree are eligible for this benefit. With the assistance of VA, these individuals can further their education or skills through tuition aid, training, and other resources. Education benefits may range from vocational degrees and on-the-job training to licensing and apprenticeships. Find out more about VA education and training here. Dependents and families of service members who died or were seriously injured in combat are also qualified for a variety of benefits. These may include education or job opportunities as well as financial assistance. Spouses also have the opportunity to receive home loans. Find out more about VA benefits for veterans’ spouses, dependents, and survivors here. Find out more about VA memorial benefits here. You Can Support Our Veterans, Too! 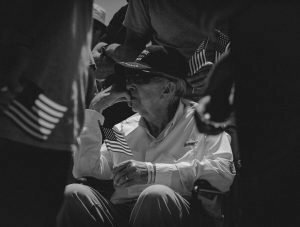 Due to the sheer number of our veterans and for some reason or another, some of them are not able to receive the VA benefits mentioned here. To fill the gap in service, we at Veteran Car Donations together with our military and veteran nonprofit organization partners are here to extend assistance to these veterans. By donating an old and unwanted vehicle to Veteran Car Donations, you make it possible for them to receive many of the same benefits given to those privileged to receive VA benefits. If you own a vehicle that you no longer use, it makes sense to repurpose it for a meaningful cause of giving back to our veterans. Feel free to make a donation with us today at 877-594-5822!